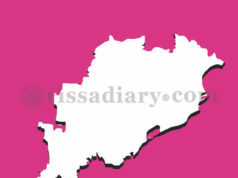 Bhubaneswar: The state of Odisha is going to be the venue of India’s first private sector Triennial. Titled ‘OTIA’ (Odisha Triennial of International Art) will be taking place in the three major cities of Odisha namely Bhubaneswar, Puri and Konark. Come December 2018, India’s national art scene and the international art scene will converge in these cities. 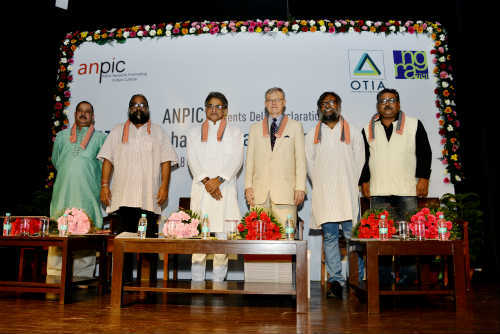 OTIA is a brainchild of ANPIC (Artists Network for Promoting Indian Culture) headed by its Managing Trustee, Mr.Sashanka Mohapatra. OTIA was formally launched in Bhubaneswar in May 2018 and on 14th June 2018 OTIA will makes its national announcement called Delhi Declaration of OTIA at the National Gallery of Modern Art, New Delhi at 5.30 pm. Shri.Pinaki Misra, Hon.MP (Lok-Sabha) will be the Chief Guest and Mr.Jeffrey Sexton, Minister Counselor of Public Affairs, the US Embassy, New Delhi will be the Guest of Honour. OTIA has roped in one of India’s topmost curators and art historians, Johny ML as its Curatorial Director. Sri Rajendra Patil, Faculty of JJ School of Art, Mumbai is the Mentor Director of OTIA, Shri Kshitish Das, Artist as Programme Co-ordinator, Smt. Sumitra Mohapatra, Social Entrepreneur as Executive Director, Shri Bikram Keshari Praharaj, Financial Director OTIA. In this 40 days long mega art event, first of its kind ever in any Indian states, will have around hundred top most Indian artists representing various sections of art. 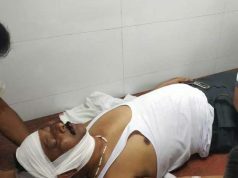 Major artists namely Jatin Das, Sudhir Patwardhan, Prabhakar Kolte, K.S.Radhakrishnan, Ravider Reddy, Jogen Chowdhury, Laxma Gowd, and so on are expected to be a part of OTIA. 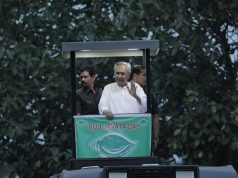 “Odisha is a culturally rich state and it has all the potential to host a mega event like OTIA. I have been observing the activities of Anpic in promoting Indian culture and their work based out of the crafts village of Raghuraj Pur in Odisha has been commendable. The state of Odisha is well equipped to receive the great personalities of Indian as well as international art. OTIA will give a natural boost to the Tourism and cultural infrastructure development of the state,” says Pinaki Misra, Hon.MP (Lok-Sabha), who is also a well wisher and advisor to the organisation Anpic. “OTIA is a great challenge given to us and we are going to make it one of the worth memorable experiences in the Indian art scene,” says Johny ML, the Curatorial Director designate of OTIA. “Most of the international events are generally high-browistic. They look down upon the local tastes and local aesthetics. We have envisioned an International Triennial in which the local aesthetics will find a chance to stand shoulder to shoulder with the International Art. Our idea is to create a ‘Global’ feeling about art and culture through the OTIA platform by integrating art, music, dance, theatre, film, craft and literature,” Johny ML underlines. ‘Conceive-Contemplate-Communicate’ (3Cs) is the slogan of OTIA. ‘When East met West’, ‘It’s Indian, by the way’, ‘Turning the Wheel’, ‘Gods of the Earth’, ‘Sapiens’, ‘In This Great Future’ and ‘Along the Way’ are the seven sections which would bring in Indian contemporary artists Modernists, International contemporary artists, Odisha folk and tribal artists, India’s contemporary experimental artists and the Graffiti and Performance artists. OTIA assures that there will be a series of seminars involving experts and scholars from the fields of films, theatre, art, music, performance and new media art. The exhibitions in the OTIA will be catalogued and there will be collateral publications and programs during the Triennial.